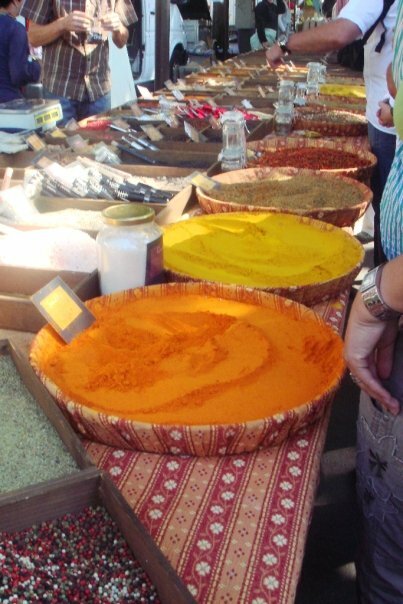 I loved seeing all the colourful spices at the market in Arles, France. The aroma from all the spices was amazing. Makes me wonder what would happen if a big gust of wind came along.